Thanks again to Alan Ankers for 2 more generous scans. See Steep-gradient tramway for more photos of this famous Matlock tram. 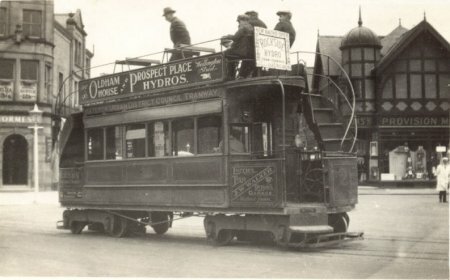 Matlock Urban District Council Tramway. Oldham House and Prospect Place Hydros, Wellington Street. J.W.Walker. Lorries, Taxis. --- Garage. Rockside Hydro, New Baths Open. 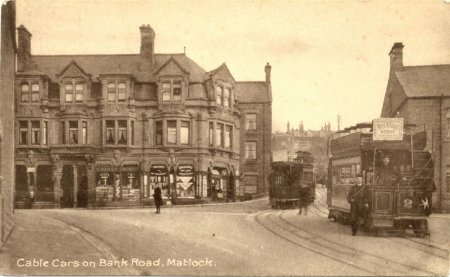 At the passing-place (Junction of Bank Road and Smedley Road) can be seen.